Dan Romaneski is a 2008 graduate of the United States Military Academy at West Point, where he majored in Economics with a Mechanical Engineering concentration. Upon graduation, Dan commissioned as an Aviation Officer and received flight qualifications in the UH-60 Blackhawk helicopter. He deployed as a Platoon Leader to Afghanistan in 2012 with the 3-82nd Aviation Regiment, where he accrued over 500 flight hours and attained pilot-in-command. After a short stint at Ft. Rucker, Dan moved to the 2-25th Aviation Regiment at Wheeler Army Airfield, Hawaii. He served as an operations staff officer and Assault Helicopter Commander for three years providing aviation support to multinational training exercises in the Pacific AOR. 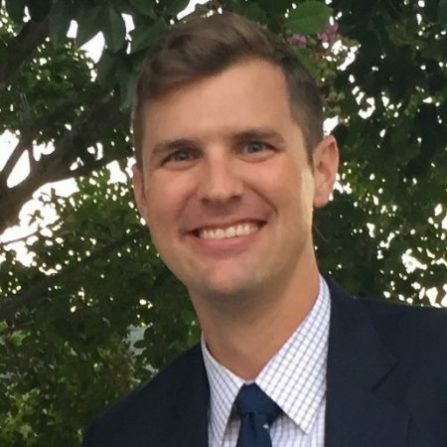 Dan recently left active duty to pursue his MBA at the Haas School of Business at the University of California, Berkeley as a member of the Class of 2019. He currently lives in San Francisco with his wife of 5 years and enjoys hiking and travel.